When I turned up in Kunyu mountain Shaolin kung fu academy,I Was suppose to stay 3 Months to learn Wingchun, and then I extended to 18 Months for so many reasons: I feel blessed to have had the chance to meet such good people, it has changed me deeply. I’m proud to have them as brothers in kung-fu, because it's exactly what happens after sharing a part of life together, and here in Kunyu mountain life is sweat, hard training and blood (sometimes). This evokes in me a lot of emotions when I think about the people here, I want to specially thanks Loc who helped and supported me since day 1; Yann my brother of the same generation of Kunyu shan, keep your smile my brother; Friso for his great heart that calmed me and taught me a lot with his kindness; and Dan such a gentleman with an incredible perseverance that I have rarely se en in my life and Alexandre that made proof of such patience with helping me with my forms. I will have so much to say about So many wonderful people I met. The other reason was my goal of deeper understanding of Wingchun and for this I wasn't disappointed because of the system Guo Shi fu invented that mixes the healing and strengthening by qigong and fighting skills. If we analyze it it's really well constructed, for example: Wingchun is really smart to begin with 12 seeds which gives all the fundamental moves of Wingchun, then the sparring form to get use to close combat before going to chi-sao. 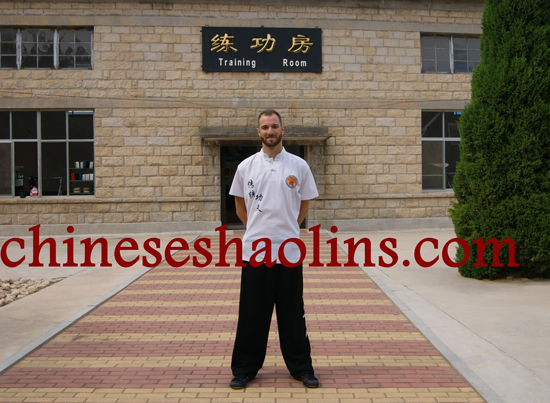 Wingchun here is really smartly thought to introduce you to Wingchun and push more your understanding of Chinese martial arts because of the presence of Baji Chuan his applications panel. And especially the Way that the master helps us to understand the great benefit of internal style like qigong to heal and improve our physical and mental capacities in martial art. And also taijiquan, I feel lucky to be one of the last students to benefit from your knowledge of Chen style form. For all this I want to Thank Guo Sifu for the Time you spend with us , for your passion of martial art that you Share with us, always with a smile ,for your patience you show every day and for years of organizing the taijiquan in the morning and qigong at night Also acupuncture class and calligraphy. I feel blessed and for all that thanks to my master, my brothers and sisters of kung-fu and the staff of Kunyu Mountain. I will never forget my Wingchun family. Clement spent more than one year in Kunyu Mountain academy.